3. ...and then click on 'Article'. Full Title / Short Title: The 'Full Title' is the full title that will appear on your article's page. The 'Short Title' will be how your article is shown in previews around the site, and you may prefer to keep this shorter than the Full Title. Short description: Supply a short description, which will be how your content is shown around the site. There is space for a longer summary below. Recommended length 90 - 110 characters. Contributors: Start typing the contributors first or last name to search for them. 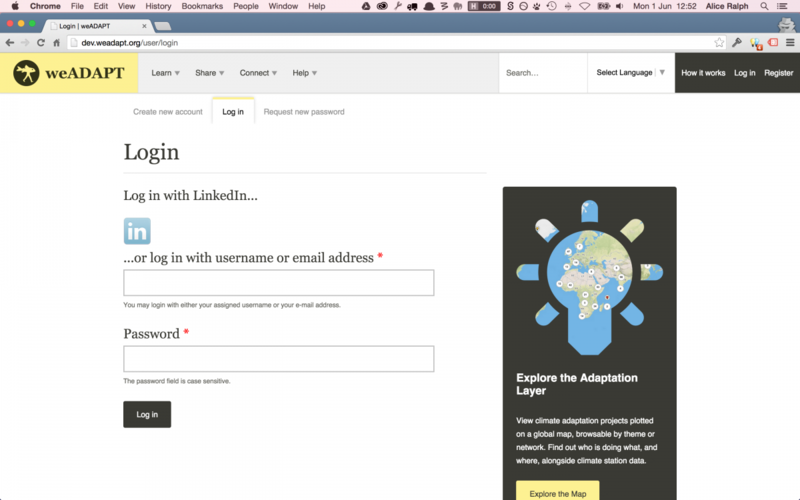 If they are a weADAPT member then you will have the option to select them as a contributor. By default you will be listed as a contributor. Click "Add another" to add multiple contributors. (You can add multiple Contributors). Participating/Implementing organisations: Start typing the participating/implementing organisation’s name to search for them. If they are registered with weADAPT then you will have the option to select them as a contributing organisation. Click "Add another" to add multiple participating/implementing organisations. Input Language: Language your article is written in. Thumbnail Image: Upload a small thumbnail image to be displayed alongside your content around the site. Square images work best. Main Image (optional): Upload a full size image to accompany your content. Please also provide a descriptive image caption, and provide photographer/copyright credits if required. Video (optional): Add a video from Youtube. Please also provide a descriptive video caption (video URL and Description). You can also add additional images to the main body of the article. 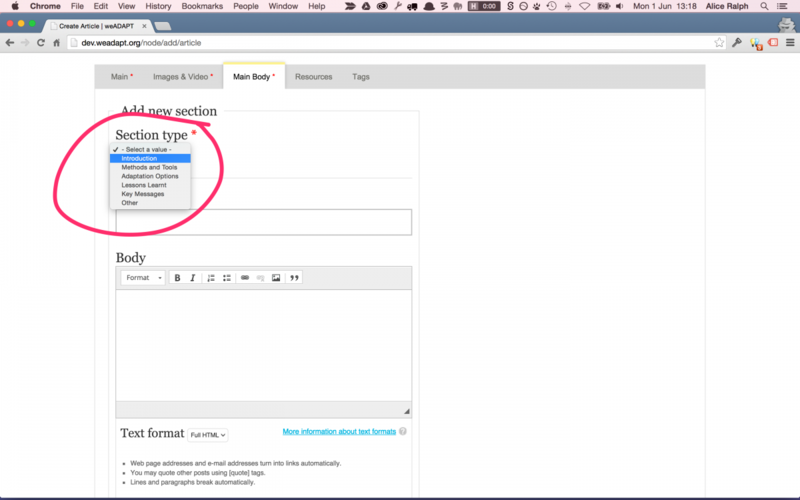 Choosing a Section Type automatically inputs the section title into the Heading field. It then provides a Body field, with associated 'help text' depending on which section type they have selected. You can add images and links to the section. 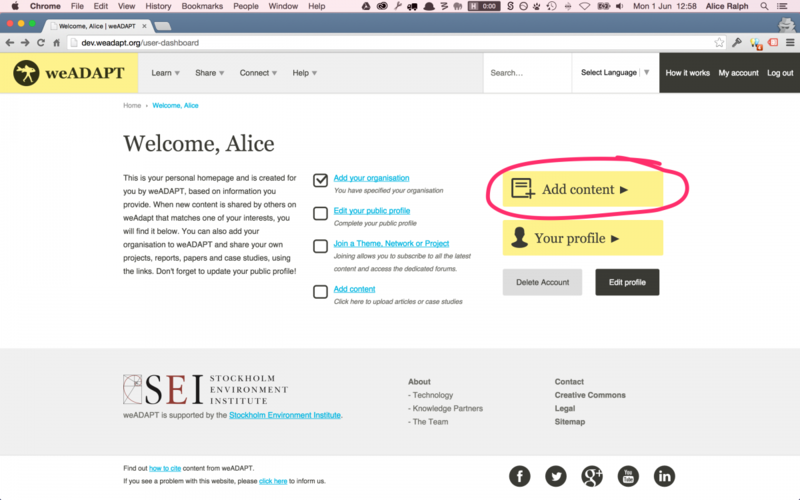 To embed videos, slideshows or other external content on the page, see Embedding Content. Depending on the text that you have inputted, the system with identify and suggest some relevant keywords. Click 'Create Section' once you have filled out that section. You must do this before your new section will appear in the preview. You can create multiple sections, and go back and edit them individually. You can also use the little cross-marker icon to rearrange the sections. Once you have created all of your sections and arranged them in the correct order, you can click 'Next'. 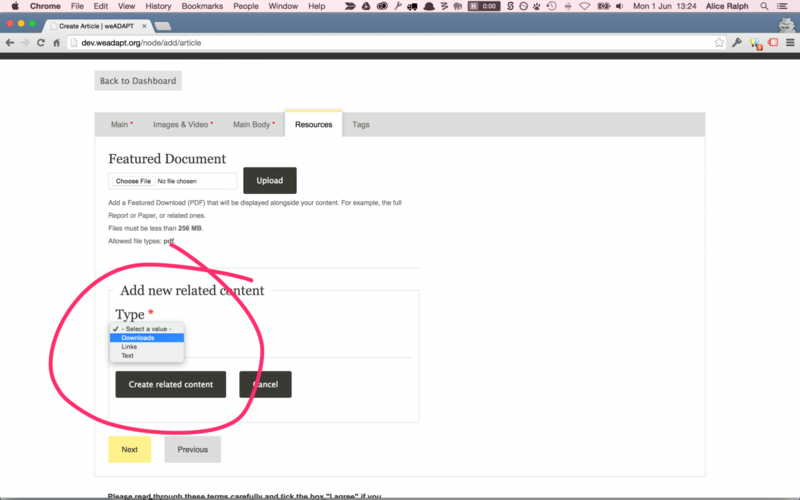 Featured Document: Add a Featured Download (PDF) that will be displayed alongside your content. For example, the full Report or Paper, or related ones. Selected Resources: Add any additional resources, content or links. Click 'Create related content' and another drop-down selection allows you to choose either Downloads, Links or Text. Depending on which one/s you select, you will receive a different type of input field to match the correct format. Keywords: Select any keyword tags that are relevant to your content. 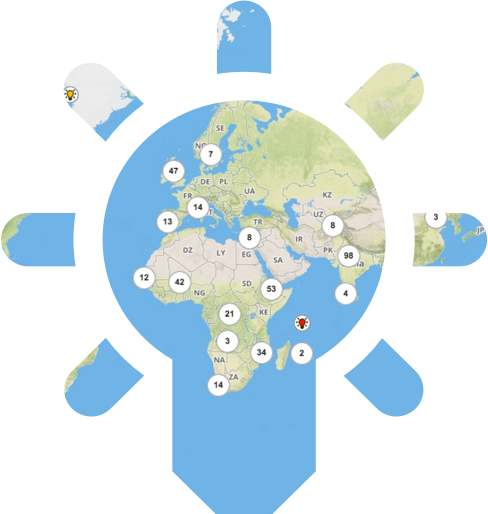 This will help increase visibility and exposure of your work by linking it with other similar content and member’s interests on weADAPT, and also helps search engines (eg. Google) find your content. Start typing and predefined keywords will be suggested, or choose from the drop-down list. Please include tags for any specific adaptation risks, actions, processes, methods, tools specified in the earlier sections. NB: While you were filling out the 'Sections' etc, the system will have been working away in the background and may have picked up some "suggested tags" based on your feedback. If any have been identified by the system then they will be shown here as suggestions, and you can choose to add them if they are correct. If none are shown then you can add them manually. Main Theme/Network/Project: Main Theme/Network/Project this content is related to. This Theme/Network/Project will host this content. Start typing to find titles. Links to all relevant other Themes/Networks/Projects: Linking to relevant themes/networks/projects is important as it is the only way other Editors know what new content is being added that is relevant to them. (You can add multiple of these). 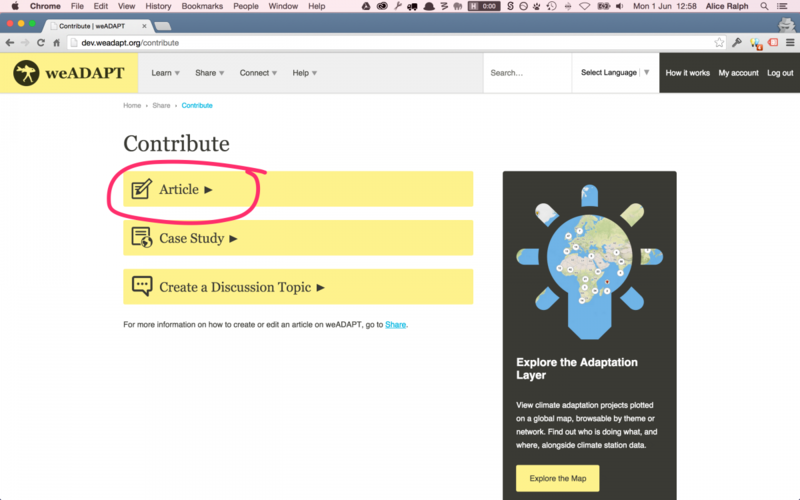 Before you can submit your content for review, you will need to agree with both Disclaimers, and you have the option to leave a Comment for the Editor / weADAPT staff. Likewise, if you are editing existing content, you can leave a 'Revision log message' to explain what changes you have made. This will help the Editor understand what you have edited. When you press 'Submit' you will be taken to a Preview page where you can review the content before submitting it to the Editor. 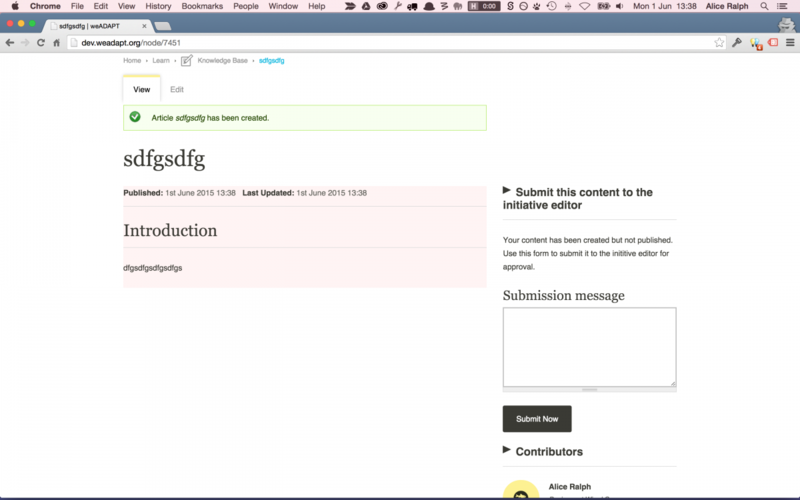 Finally you can click 'Submit Now' and submit it to the Editor for review.